La Perla is a historical community in San Juan, Puerto Rico. As of 2000, an estimated population of 338 was reported. La Perla is known for its alleged high rate of illegal activities. 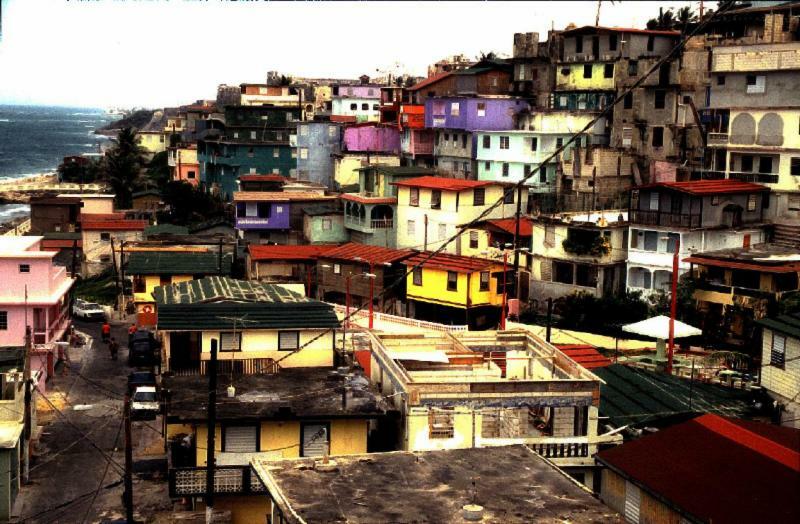 In recent years, reports indicate that La Perla has been abandoned by the Puerto Rican government, in hopes that residents would evacuate, leaving it open for development. Rumors suggest that Donald Trump has his eye on the area for the building of tourist attractions. The government has allegedly tried to buy out residents to no avail. The common perception of La Perla, is that it’s “dangerous”. Too dangerous to step foot in. Some have gone as far as saying if you enter, you won’t come out alive. They say it’s a lawless zone, where everyone has free reign. Upon researching La Perla, photographer / videographer Frank Rivera grew fascinated with their story. He wanted answers and felt like there had to be a positive side to this community. Rivera’s goal is to showcase La Perla. By filming a documentary and getting into the soul of La Perla, he feels he can give it a voice. I want to show the beauty and positivity of this “slum”. I want to show the other side. ~ Frank Rivera. The campaign’s goal is $6,000 and it ends June 3, 2014. I have been visiting La Perla ona nd off for years. In the 80s to take dinged surf boards to be repaired by Valdo, in the 90s to enjoy street parties given in honor of a Patron Saint and in the last few years to eat lunch at a Secret House and to have drinks at a beach shack. I have always been treated with respect and have friends from La Comunidad as the residents call it. I hope you show this side of La Perla.